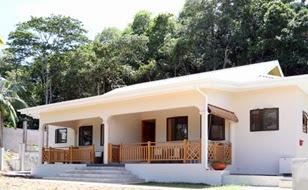 Anse Soleil Beachcomber is pleased to announce the opening of two new self catering chalets located close to the main hotel. Each chalet comprises two spacious apartments equipped with a living room, kitchenette, large bedroom, bathroom and private veranda. The main hotel lobby and restaurant are approximately 3 minutes walk from the chalets, however the hotel offers clients golf cart transfers, if necessary. Clients will also have access to all facilities provided by Anse Soleil Beachcomber. Contact your Masons Travel Representative to plan your next holiday to the Seychelles.